Each weekday for the next 2 weeks, we’ll reveal a part of the connecting covers for issue 115. 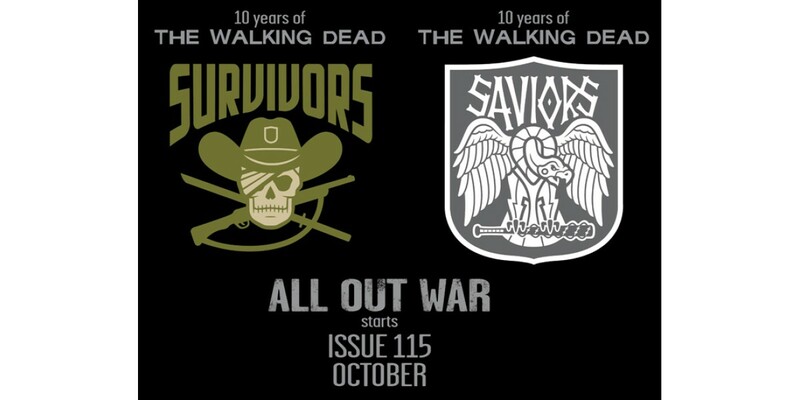 The ninth cover revealed and the second year of The Walking Dead! Enter Michonne, mysterious, silent, deadly, and traveling with the two most interesting pets ever.